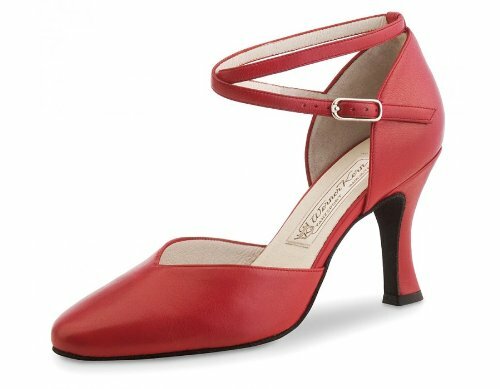 Exclusive and extremely comfortable Werner Kern Model Betty Red Leather dancing shoe with enticing V-cut. An individually adjustable ankle clasp ensures the shoe's stable and comfortable. Soft nappa leather provides a particularly gentle and supple fit.